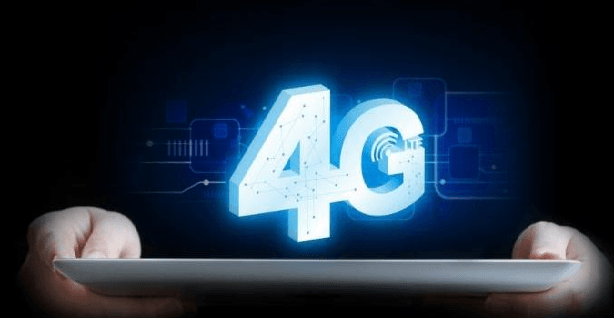 By the beginning of 2016, the masters in the mobile networking industries are gearing up with 4G plans to the customers. Today 4G the high speed internet service gateway, from the current speeds. The Master’s mind of telecom out there in the current market offering 4G services the customers of Vodafone. Airtel, and Idea. Also, there are other competitors getting up in range like the mighty Reliance Gio. The 4G internet services are still not completely available in all parts of the India. These industries have launched these 4G services only some selected cities. To compare the 4G data costs among major telecom players in India, Airtel, Idea Vodafone and Jio, here the comparison is that how much you need to pay for 4G data to Reliance Jio and other companies because all the plans of Jio include unlimited, completely free night usage, SMS and voice calls. There are some more benefits of Jio tariff plans go to Prepaid and Postpaid Tariff Plans for new customers and also note that everything is free for first 3 months with Jio under Jio Welcome Offer. So, if you compare the 4G data charges, you will find that Reliance Jio is offering around 30 percent more data benefit than Airtel, Idea, and Vodafone at the same price rate. Clearly, Reliance Jio 4G data charges are cheapest at this time, since its promotional time. The best thing is – all Reliance Jio 4G tariff plans come with an access free voice calls. Local and STD calls. As per the statement released by the jio officials, Jio network won’t charges for roaming within in India. Airtel 4G provide Speed in between 6 to 15 Mbps to their 4G customers, similarly the Idea provides more than 15Mbps on its 4G network for their customers, and the Vodafone 4G offers the speed of 8 to10 Mbps to their 4G customers where Reliance Jio Network offers the highest speed of 30-50 Mbps. As per the paper records, reliance Jio own the high speed service provider in 4G coverage. Owing to that features, it attracts huge number of customers towards its network with the whooping free offers. At present the total number of cities with Airtel 4G coverage is above 300 and the company announces as it will increase those numbers in nearby future, however, the Idea’s 4G is currently available in 183 town and they already started to increase those numbers, meanwhile, the Vodafone network has launched 4G in 5 major Cities and Reliance Jio 4G is available all cities in India. As per the recent survey conducted by TRAI over the speed offered by 4G mobile networks with its own app and results are displayed in TRAI’s My Speed online portal. Surprisingly, Reliance Jio networks manage the last place when it comes to offering speed in 4g network; meanwhile Airtel enjoys the first position. The Speed comparison has been done according to the highest average 4G speeds across the nation. The results of the TRAI recently concluded speed test are portrayed below. The results set a huge blow to reliance jio, who recently set the record of amending large amount of customer base in quick session. Experts from all over the nation, predict that the freebees offered by Reliance Jio attracts huge number of customers towards them, however, proper competition will be expected after the initial free period of 3 months offered by Reliance Jio.